A Walk-in-interview will be conducted at National Institute of Pathology, ICMR Building, Safdarjung Hospital Campus, New Delhi at the above address on 30th May, 2018 to select candidates for engagement as Project-JRF ( Purely temporary) under Ayush sponsored project,” To study the antitumour potential of Pashanbheda, Punarnava, Gokshura and Badra on the human urothelial cell carcinoma (UCC) cell lines”. The date for determining the upper age limit, qualification and/or experience etc. will be the date of interview of the respective Post. Relaxation in age limit of the candidates belonging to SC/ST/OBC and Women shall be provided as per the Government rules. If it is found at any stage of the process or thereafter that the candidates do not fulfill the eligibility criteria, their candidature shall be cancelled without assigning any reason whatsoever. 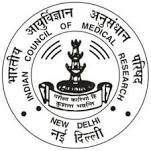 Further, the decision of National Institute of Pathology, ICMR in regard to the selection process will be final and binding to all concerned. No correspondence in this regard will be entertained by the Institute. Essential qualification: Master’s degree in Biotechnology/Biochemistry/Life Science with minimum 55% marks. Desirable: Candidates should have good knowledge of biochemistry, molecular & cell biology. Candidate should be NET (LS)/GATE qualified. Experience in animal Cell Culture techniques, techniques of molecular cell biology & biochemistry will be preferred. Interested candidate can come with 1. One page write-up in relevant interest and long term goal. 2. Application form format dully filled along with bio-data, recent passport size photograph, two letter of reference, complete address and attested photocopies of all certificates. 3. Only hard copy of application will be accepted. Note: 1. Position in mentioned project is purely temporary, for the period of duration of the project. 2. If performance of candidate will not be found satisfactory, position can be terminated within one month of short notice. 3. No TA/DA will be paid for attending the interview. Selected candidate should join instantly.